Luckily, I did manage to work out that section, but I've now run into something odd. There seems to be a stray pixel in the UV map, but I'm not sure where it's come from on the mesh. If you can't understand what I mean, please let me know. Sorry for any inconvinience I may cause you. 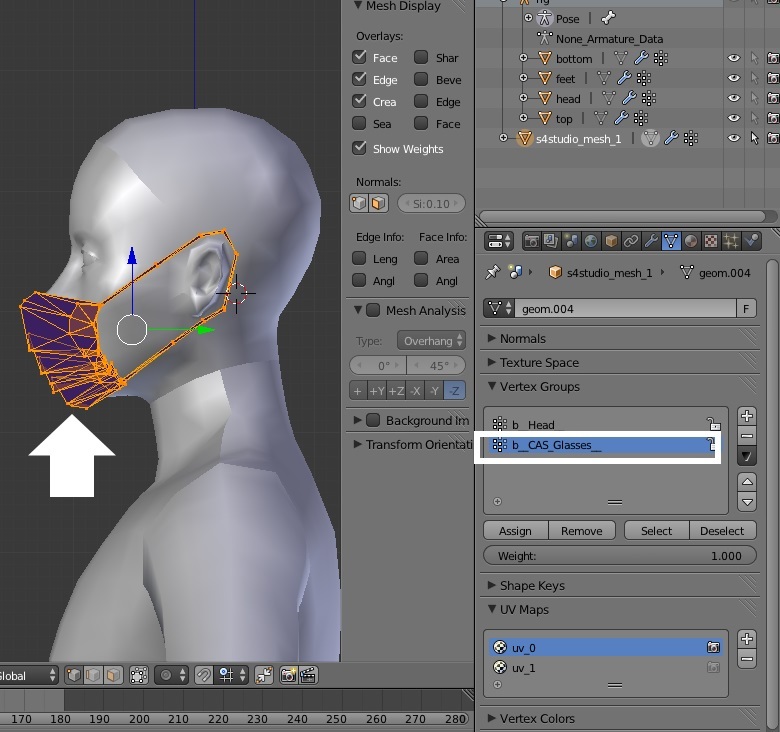 The finger assignment needs to be removed and the mask needs to be assigned to the head instead. Hopefully when you fix those two issues, you'll be able to see it in game! Click Show Weights. Click b__Head__ and the mask will turn red. Red = 100% joint assignment. Save and Import this back to your .package. 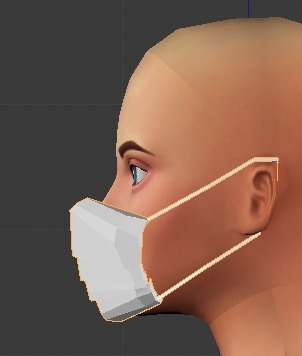 Hi there, looking at your new mask in Blender I saw that it is positioned OK now, but you had assigned it to both 100% Glasses and 100% Head. 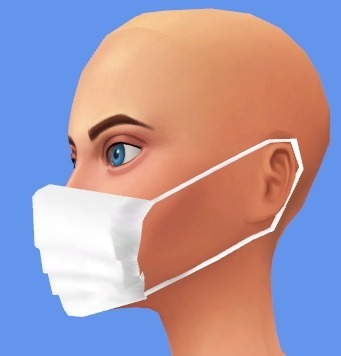 I removed the Glasses assignment (as your item is an earrings clone, it would use Head) and then imported it into your .package file. 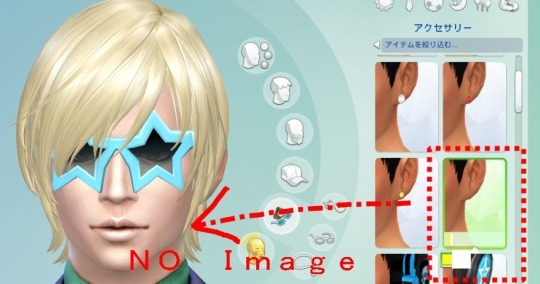 I tried it in CAS but, as you said, it was invisible. It just looks like it needs some work on either the textures, or that the normals of the mesh may have become messed up at some point, because the item has a strange shading to it (I used a blank specular, so it's not that). Aside from that, you're nearly there. Attached is my re-cloned version of the package. ETA: LOL OM, we've done it again - you posted while I was working on his item and writing my post! 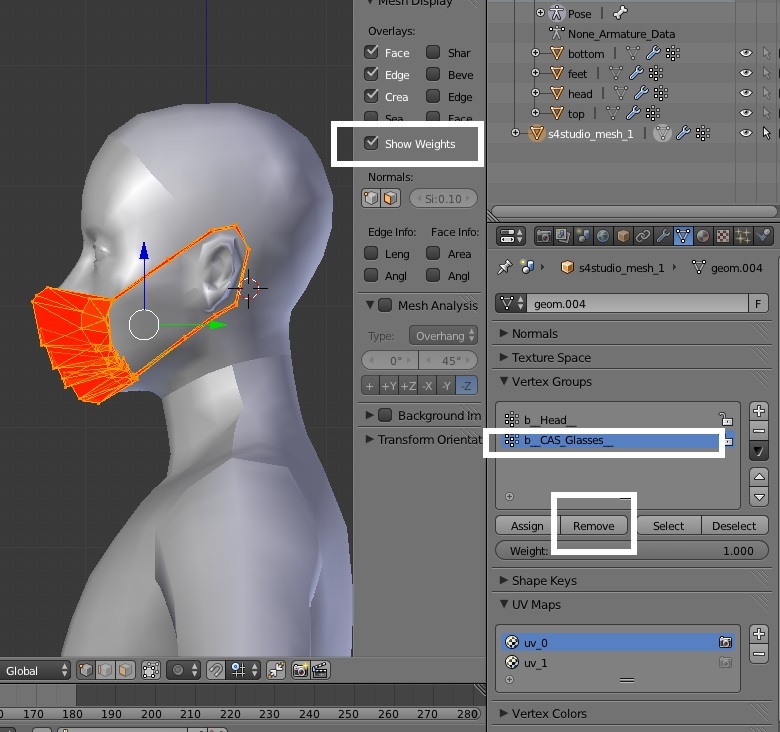 Export Mesh doesn't open Blender automatically. 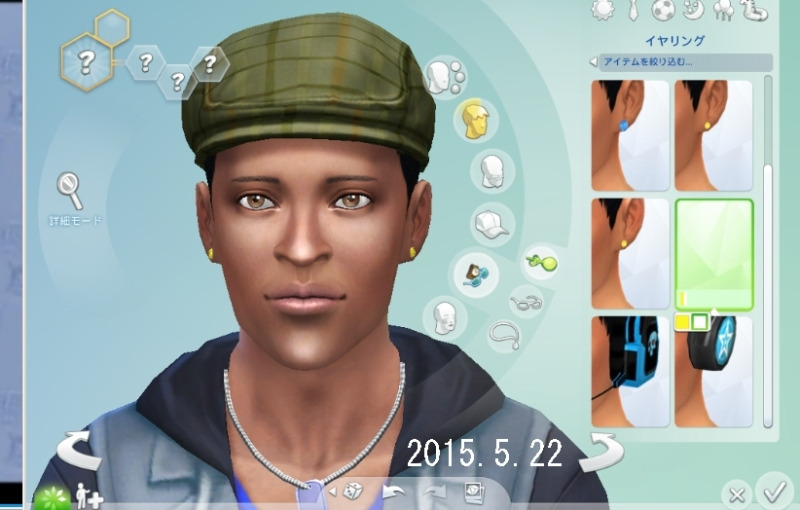 After you hit Export Mesh and save, the saved file will have a .blend extension, for example earrings.blend. 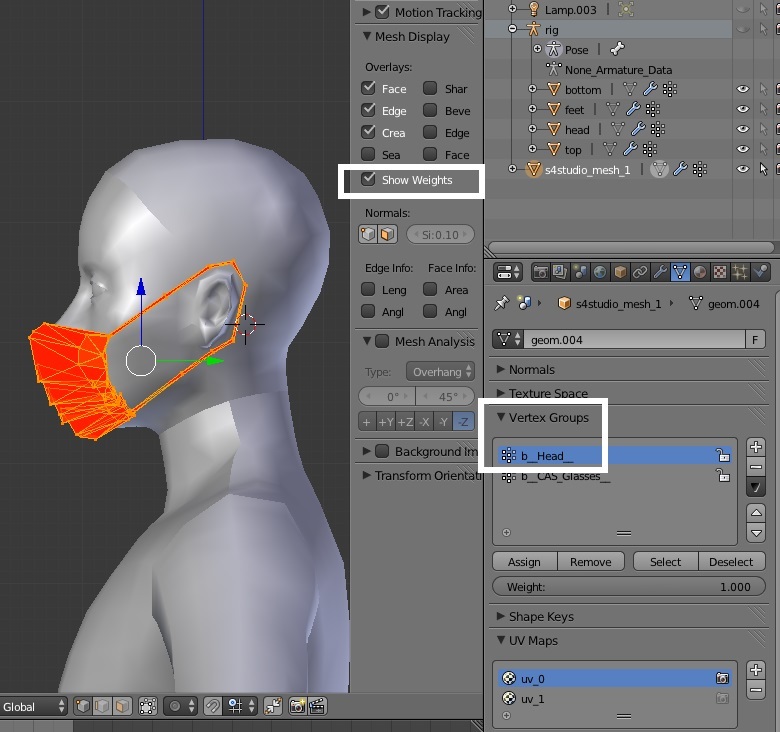 You need to double-click on the .blend file, and then Blender will open showing your earrings on the 3D sim model. 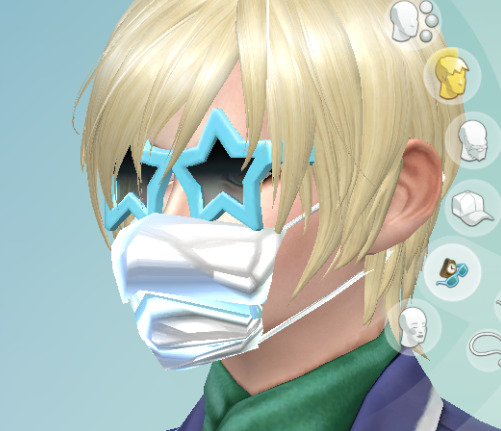 Hi lolopop91, welcome to Studio forums. To tilt the view press the middle mouse (or scroll wheel) button and move the mouse back and forth in a front to back direction.